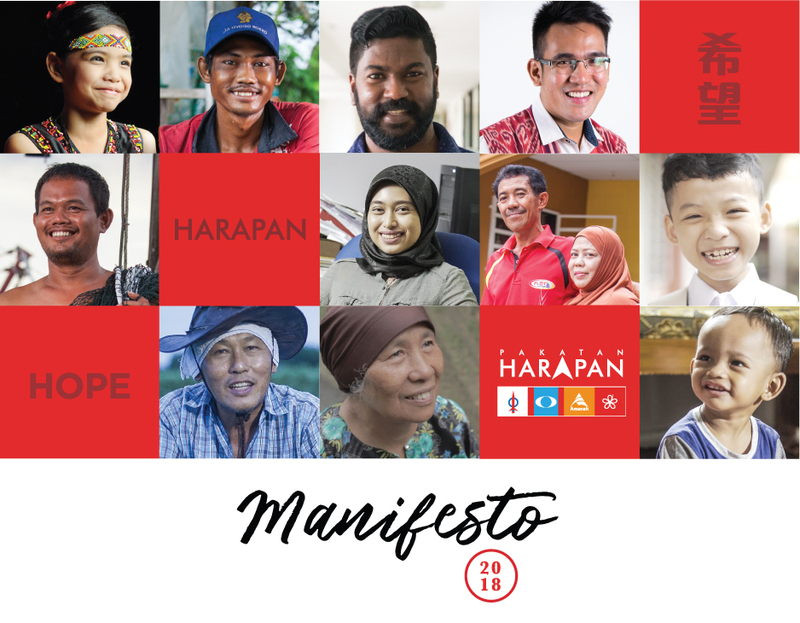 In his speech at the National Aspiration and Leadership Conference, the Minister of Youth and Sports, and UMNO Youth chief Khairy Jamaluddin said that his greatest fear for National Transformation 2050 (TN50) was the mindset, attitude and civic-mindedness of Malaysians[i]. I found it unbelievable that amongst so many challenges we face as a country, this stands out as his greatest concern for national transformation. Since TN50 is supposed to be consultative, here are my three biggest concerns for Malaysia in 2050 for the minister’s reference. The “Najib Razak’s Phenomenon” did not come overnight; it is the product of a non-functioning democracy that has lost its ability for check and balance. Our democracy is no longer a “typical democracy”. In a typical democracy, change of government is possible in every election cycle. Malaysia remains as one of the few democratic countries in the world that has not experienced a change of government. This is an effect of the disproportional representation of the election boundaries (gerrymandering), and has given Barisan Nasional (BN) a huge electoral advantage. Despite losing the popular votes, BN still won the last general election with 60% of parliamentary seats with the help of these unfair election boundaries. To make matters worse, in September 2016, the Election Commission (EC) proposed a constituency redelineation plan that favors BN even more. The EC, which is the institution that is supposed to ensure free and fair elections in Malaysia, is conducting a blatant gerrymandering exercise to ensure victory of the ruling party! When the EC is not independent, the elections can be rigged, and the government will no longer fear the people. In a typical democracy, there is a proper separation of power. Since the Prime Minister’s RM 2.6 billion donation scandal broke, the attorney general, Tan Sri Abdul Gani Patail and the commissioner of Malaysian Anti-Corruption Commission (MACC), Tan Sri Abu Kassim Mohommed, who initially led investigations into the scandal in their respective agencies, have stepped down; and the Public Account Committee (PAC) chairman, Nur Jazlan, who was supposed to lead legislative scrutiny to the executive branch of the government, was promoted to Deputy Minister and replaced by a “cari makan” PAC chairman, Datuk Hasan Arifin. The institutions that are supposed to act independently to provide check and balance to the executive power have been overpowered (or “bought over” for Nur Jazlan’s case) by Putrajaya. Hence, my first concern is how do we rebuild our democracy so to allow free and fair election, meaningful separation of power and freedom of expression to ensure that no kleptocratic government will ever be elected again in Malaysia, but a government of the people, by the people and for the people. Malaysia’s economy has been stuck in the middle-income trap for more than a decade. The World Bank found that the Malaysian economy has not shown improvement in creating mid- to high-skilled jobs (i.e high paying jobs) since 2001. [iii] The percentage of total employment for low-, mid- and high-skilled employment were 10.6%, 65% and 24.3% in 2001 and 12.7%, 62.1% and 25.2% respectively in 2014[iv]. While the percentage of high-skilled jobs grew less than 1% and the percentage of mid-skilled jobs actually decreased 3% in the 14-year period; low-skilled jobs on a contrary increased by 2%! This clearly shows that our economy has not been able to move up the value chain from a labour-intensive economy to an innovation-driven and knowledge-based economy. 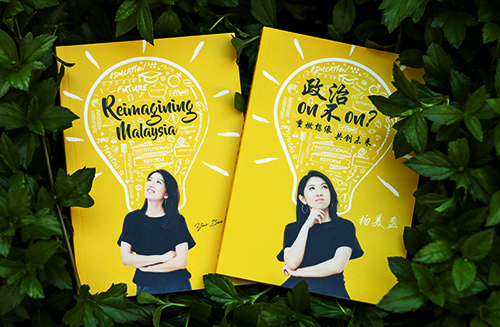 It is impossible for Malaysia to become a high-income nation without overcoming the current structural economic problems of over-dependency on cheap low-skilled workers and the hollowing out of the mid-skilled employments. In addition, there is a rising economic inequality among Malaysians. Although Malaysia’s Gini coefficient has shown improvement, dropping from 0.46 in 2004 to 0.40 in 2014, many other inequality indicators suggested otherwise[v]. For example, the top 1% of the largest Employee Provident Fund (EPF) accounts hold 15% of total EPF savings while the bottom 50% only holds around half of it - at 8% of total EPF savings. The wealth of the top 40 richest has grown from 15.7% of the GDP in 2006 to 22% of GDP in 2012; and the top 1% has 22 times more purchasing power than the bottom 40%[vi]. Other indicators such as asset accumulation, unit trust shares or even luxury car sales all point to the trend of concentration of wealth to the top of the pyramid. Thus, my second concern is how do we create a good and prosperous economy that works for everyone in the country, not just the privileged few. Education is the backbone of a country as it prepares the next generation whom will drive the economy and lead the country. Nevertheless, Malaysia continuously ranks the bottom one-third in the Program for International Student Assessment (PISA), a once-in-3 years international assessment of 15-year-old students in mathematics, reading and science. Malaysia has been participating in PISA since 2009 and we have been scoring below global average since then, ranking 55 out of 74 countries in 2009 and 52 out of 65 countries in 2012. Just when we thought we achieved some improvement in 2015, scoring 446 in mathematics, 431 in reading and 443 in science compared to 421, 398 and 420 respectively in 2012, we found that the result was not recognized by PISA because Malaysia’s data response rate was only 51%, falling short of the 85% requirement by PISA. Malaysia became the only country amongst the 72 countries that took part in PISA and was dropped from the official ranking. It was evident that the schools that participated in PISA were over-represented by high performing schools, raising great suspicion that the Malaysian government actually tried to cheat so to get higher PISA scores! [vii] Even more pathetically, with this artificially better result, we still lag behind the global average score of 490 in mathematics and 493 for both reading and science. [viii] How can we become one of the top 20 countries in the world in 2050 when most of our children are studying in an education system that is at the bottom of the international rankings and the government actually needed to cheat to make the situation look better? Because of the deteriorating standard of public education, many parents now turn to private or international schools to give better education to their children. Although not a rich country, Malaysia now ranks the 8th most expensive country in the world for international education[ix]. If the public education is good, will the parents spend that much of money to send their children to private or international schools? Education is a great socioeconomic equalizer but we are seeing a trend that the children of the haves and the have-nots are undergoing education systems that are of totally different standards. This will further widen the gap between the rich and the poor in the future. On higher education, despite “churning out” graduates with tertiary education in numbers, Malaysian graduates do not seem to meet the job market demand. The World Bank reported that Malaysian firms consistently list “sourcing talent” as one of their top business challenges with issues such as basic numeracy and language skills as well as soft skills like analytical thinking, communication, and problem-solving skills. [x] Ironically, 1 in 4 students who graduated remained unemployed six months after graduation in 2015. In short, our universities have not been able to produce graduates that the economy needs and they, too are not properly trained with skills that will allow them to obtain good jobs. Therefore, my third concern is how can we have an education that produces competitive workforce and enables upward mobility. Our country is on the brink of destruction by kleptocracy with its faltering democracy, and we urgently need to fix our stagnant economy with its rising inequality as well as the crippling education system. Are we really going to talk about civic-mindedness as the greatest fear when it comes to national transformation? No. I don’t think so. We should face the challenges head-on.